Today is the last chance to get your suggestions in for the NPA's banner competition - and give yourself a chance of winning a hamper from NPA chairman Richard Lister's farm shop. 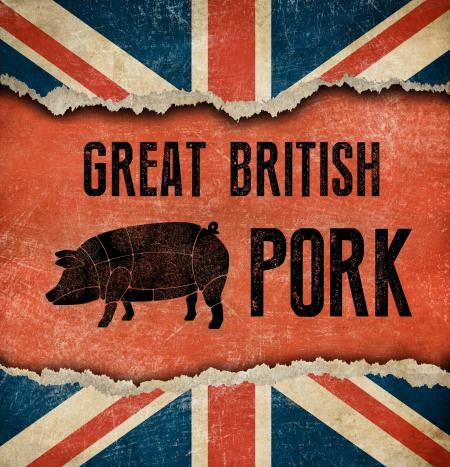 How to get the message about the merits of Great British Pork over to the Great British public in a simple slogan? That's the challenge laid out in our banner competition, launched over the Christmas period - but if you want to enter, you need to be quick. The closing date for entries is 5pm today. So far, we have had a great response from the general public, with lots of high quality entries, most of which are useable (see competition rules below!). We have also had some great suggestions from producers, but we want to see more from members, said the NPA's Andrea Vickers, who thanked everyone who had contributed so far. The winning entry will be picked by NPA Producer group on Tuesday, January 16, and announced the following day. The winning slogan will be turned into roadside banners and car stickers. As if more incentive was needed, there is a prize of a hamper to the value of £100 on offer (the winner can choose the contents) from Richard's farm shop (we have assured him the relatively low uptake from members is no reflection of the quality of the fare on offer on his shop). Andrea said: "So, get your thinking caps on, get to work and come up with a snappy slogan to show the public why they should be backing British pork. But, be quick - you only have until Friday. "The last set of banners have been a great success but we think it's time to freshen things up. In a year when we are going to need to connect with consumers more than ever, we need your ideas. Good luck!" Can you do better than this memorable effort from the NPA's last banner campaign?